This story is a science fiction adaptation (loose) of the poem Rime of the Ancient Mariner by Samuel Taylor Coleridge (1897). If you have never read that poem, or can’t remember it if you have, then I recommend you go back and re-read it before you read this story. I recommend you read it regardless, because it is one of the best poems I know. Grab it for Free on Amazon. There is a lot to unpack in this short tale. I found it likable, but with some negatives. The favorable attitude I have toward the story is derived from what it attempted to achieve. The unfavorable attitude comes from some of the ideas posited in the ‘universe’ where it takes place. The writing style is decent, if slightly overly dramatic. I give that a hand wave because it was trying to bring out the emotion of the poem it was modeled after. I did find myself speed reading (which for me means skipping over ‘fluffy words’) through parts of it because of this. The Main Character (no name given, MC for short) is a member of the crew on the generation ship, Cradle. It is controlled by an A.I. of the same name. The A.I. is directly connected to minds of its ‘crew’ from shortly after their births. It is several generations since they left a dying Earth to save humanity by escorting a few million sleeping humans to another star. The crew is generational, while the passengers are Earthborn. The story itself is the MC telling what happened to the ship and why he is the sole survivor and responsible for their deaths. This is great tie-in to the Poem, as the Ancient Mariner was also a lone survivor of a ships crew whose deaths he was responsible for causing. 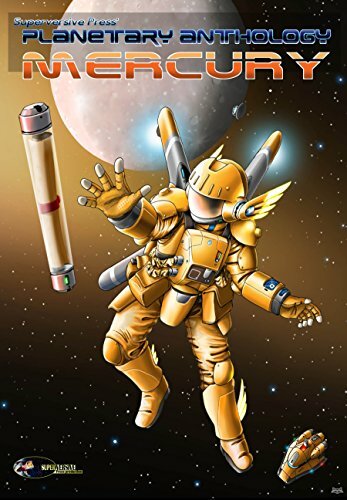 I think the author did a great job of steering a story set in space and the far future in parallel to the Poem. I admire and compliment the creativity that was used. I can definitely recommend reading this one (after re-reading TRotAM). I give this 3 stars can call it a Worthwhile Read. Now, there are some issues I have with the overall universe, which I will detail below. They are spoiler filled, however, so do not read further until you read the story itself. The problem I have with this generation ship is that several thousand individuals are required to maintain the ship, but instead of rotating the crew who volunteered for the mission, they utilized a breeding community who’s descendants are born and die on board, and are forced into the roles of crew. That they blithely accept this after several generations is a flawed assumption to me. They are basically slaves to the sleeping passengers and the A.I. I think some of them would have revolted by now. The sudden blaming of the MC for all that transpires seems unjust. In the Poem, the Ancient Mariner commits an act of malice with no reason, which results in his being blamed for events that transpire after. In Rime, the MC commits an act that, while perhaps rash, was also a result of fear at being separated from contact with Cradle and all other crew – which had never happened in his whole life – and also had been ushered into a cannon emplacement on the ship that was designed to be used in defense. The A.I. of Cradle was really at fault for this situation more so than the MC, IMHO. Ultimately, Rime of the Ancient Mariner is interpreted as a comment on appreciating the beauty of God’s creation and prayer. This story, was more of a cautionary tale about overreacting in a violent way that could result in a tragic misunderstanding & hostility between humanity and alien beings. While I can see the difficulty in projecting the encouragement of prayer in the context of space based sci-fi, the non-violence message (in the face of a threat) seemed a bit off-putting to me. That resulted in the loss of a star in my review. Still, this is one of the better stories I’ve read in a while, and I do recommend it.